life coach training & CERTIFICATION programme and made it even better! Life coaching is a wonderfully uplifting and fulfilling career ... but only if you have what it takes to succeed in the industry. 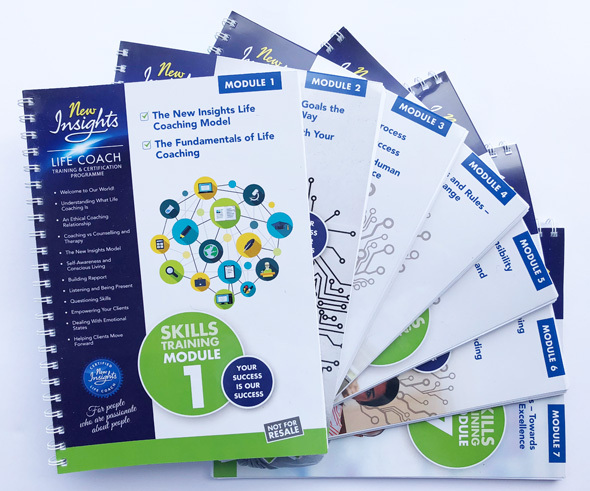 The brand new 5th generation of the New Insights Life Coach Training and Certification Programme is both comprehensive and broad based and includes absolutely everything you need to deliver the results that will set you apart as a great life coach. 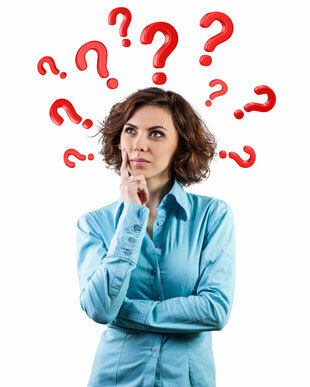 There is certainly no lack of life coaching courses to choose from these days. We completely understand if you are feeling a little confused! 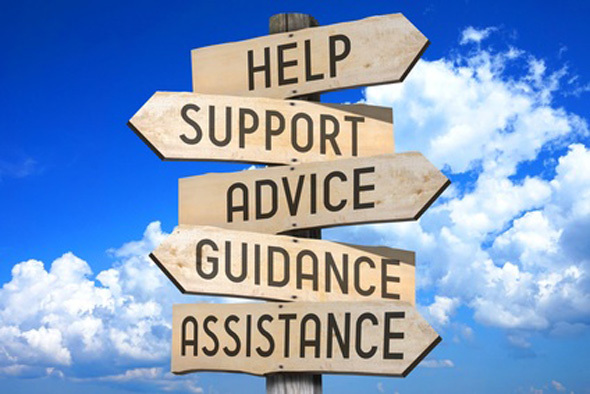 So we'd like to help by offering some simple, honest advice based on years of experience in training and supporting many hundreds of life coaches in South Africa, in the UK and around the world. One thing is for sure. Life coaching is a word-of-mouth business! Either you consistently produce great results for your clients and your practice flourishes ... or your clients are underwhelmed by what you offer and your practice slowly shrivels and dies. At New Insights we certainly don't want to be associated with mediocrity in coaching. 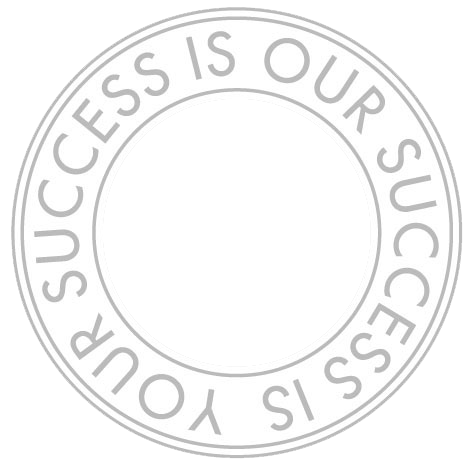 We understand full well that our success is closely linked with the success of our coaches. Many years of experience and caring research have gone into our training and we honestly believe our training programme and associated coaching system is amongst the very best of its kind in the world and offered in a super-convenient home study format. If you want to be the best life coach you can be and you want Convenience, Affordability and Flexibility, combined with in-depth Practical Experience, Structure and Support, you need look no further than New Insights and our accredited life coach training and certification programme. We've left nothing out in our quest to prepare you to be the best life coach you can be. Our seven skills training modules are written in a non academic, easy-to-apply way and are packed with information, tools, techniques, exercises, examples, quotes, hints, tips and thought provoking insights. ... to ending or extending the coaching contract and advice and techniques to propel you towards coaching excellence. To view an extract from one of the Modules, please click on the image below to open it in convenient full screen Flipbook format. (Please remember – this is just a tiny snippet of what's available in the programme)! We've designed a wonderful 15-session life coaching system which is made available to you to use in fulfilling the practical requirements for your certification, subject to your agreeing to abide by our Code of Ethics. This tried and trusted personal transformation system, which you can choose to license from us when you become a certified coach, comes with the full range of extensive coach, coaching and client notes, a step-by-step guide and – as a bonus – a series of videos showing how sessions are conducted. To view an extract from the Session Notes that make up our Life Coaching System, please click on the image below to open it in convenient full screen Flipbook format. (Please remember – this is just a tiny snippet of what you will find in the System)! The Forum is a veritable gold mine of information. This where you learn, share and grow together with other trainees and certified coaches, by posting questions and offering comments and suggestions on all the main topics covered in the training. Journal@New Insights is a state-of-the-art online journalling platform that you can use to improve your overall self awareness. Our award winning blog, Life Coaching Insights, contains over 250 insightful articles about human motivation, life coaching and general personal development. On completion of our certification requirements you will receive a professional looking certificate detailing your key achievements. You will also be entitled to display our certified coach identifier (like the one on the right) on your website, in your emails and in other marketing material you may produce. The New Insights certification training programme goes beyond ensuring that you are really well equipped to coach professionally. We also offer you assistance with developing a plan for your practice and some sage advice and techniques to sell and promote your coaching services and maintain a thriving practice into the future. 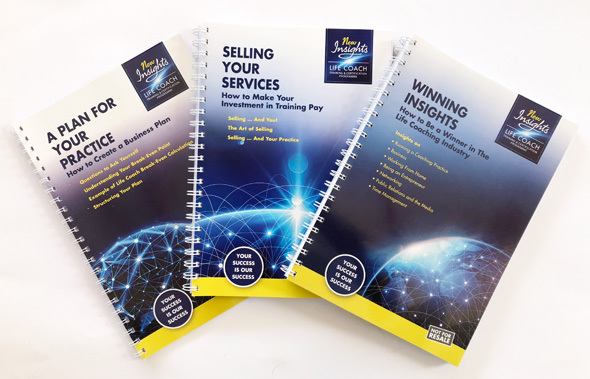 With our programme you get access to three excellent business practice support manuals, chock full of strategies, templates and advice aimed at giving you and your practice a real competitive edge. To view an extract from Selling Your Services, one of the three business practice support manuals, please click on the image below to open it in convenient full screen Flipbook format. As a trainee life coach you can look forward to attentive and caring support from New Insights throughout and beyond the training experience. 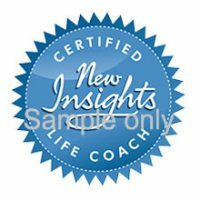 We go the extra mile to make you feel part of a special group right up to and beyond your graduation as a New Insights certified life coach. 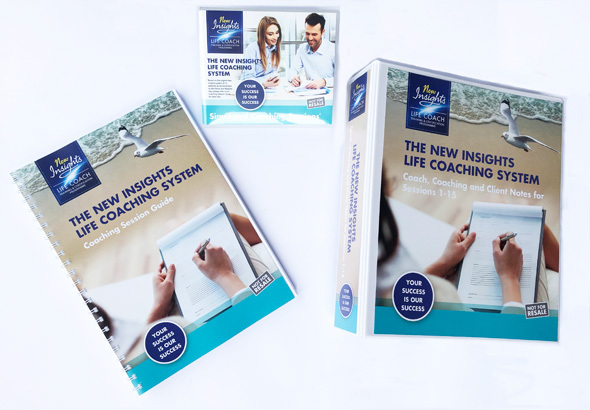 By now you should be getting a good idea as to whether the New Insights life coach certification programme represents the kind of training that you really want to embark on. Find out more about our Programme accreditations by clicking here. Get more detail on the two Certification Options or 'tracks' that we offer by clicking here. Want to know what the Programme Fees are and what instalment Payment Options may be available to you? Then click here. Are there any prerequisites for enrolling in the programme? Will I need to travel anywhere? How does this differ from an online course? 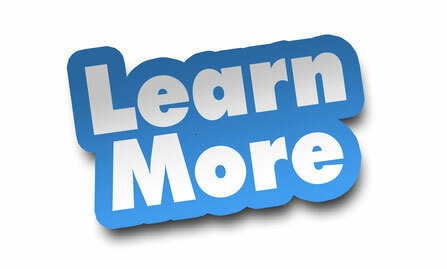 ... please go to our Frequently Asked Questions page by clicking here.